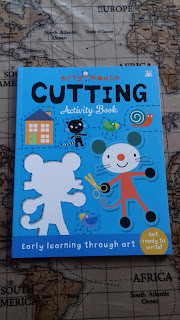 DD3 has been waiting patiently this week for her Arty Mouse delivery to arrive, and here it is! 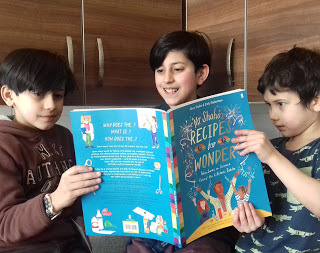 Just in time for the bank holiday heatwave! 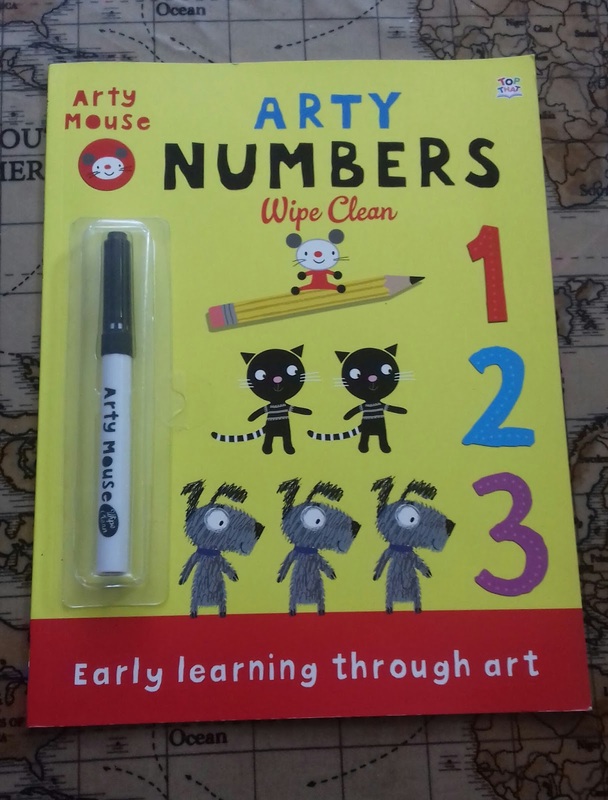 Arty Mouse is Art with a heart! It's been a lovely, sunny day here, as predicted, so we have plastered on the sun cream, packed our picnic and spent the afternoon outdoors taking along our Arty Words Flashcards of course, which can be easily popped into our on-the-go bag! 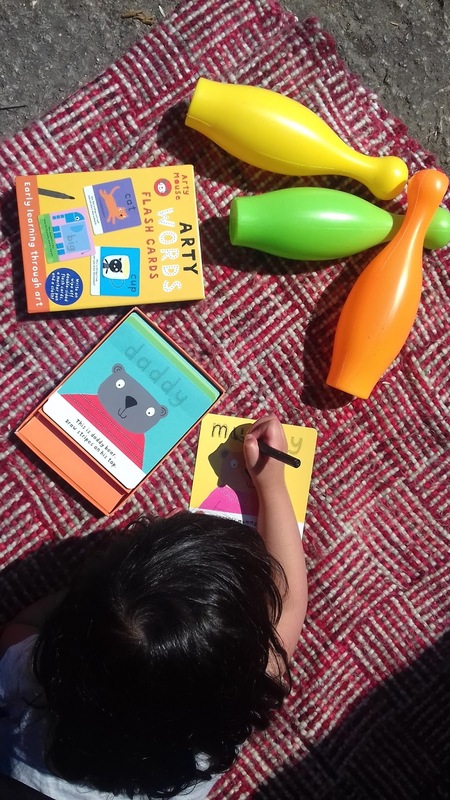 DD3 loved using Arty Words as she sat out in the sun. 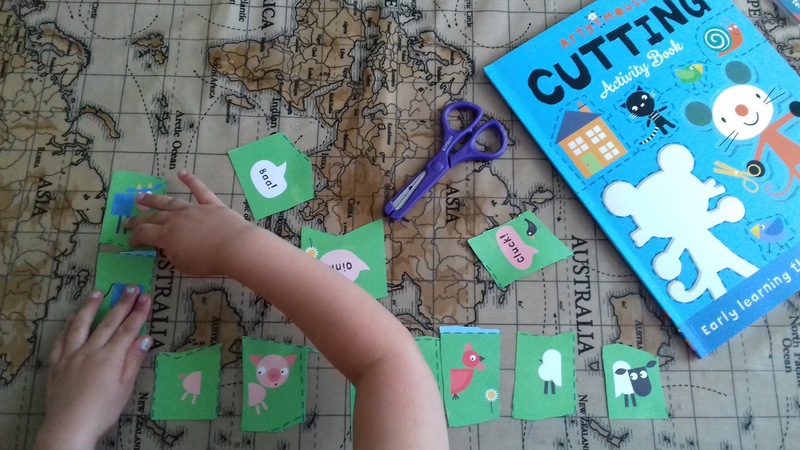 She steadily held the little pen and used hand-eye coordination to carefully write out the words which she easily recognised. 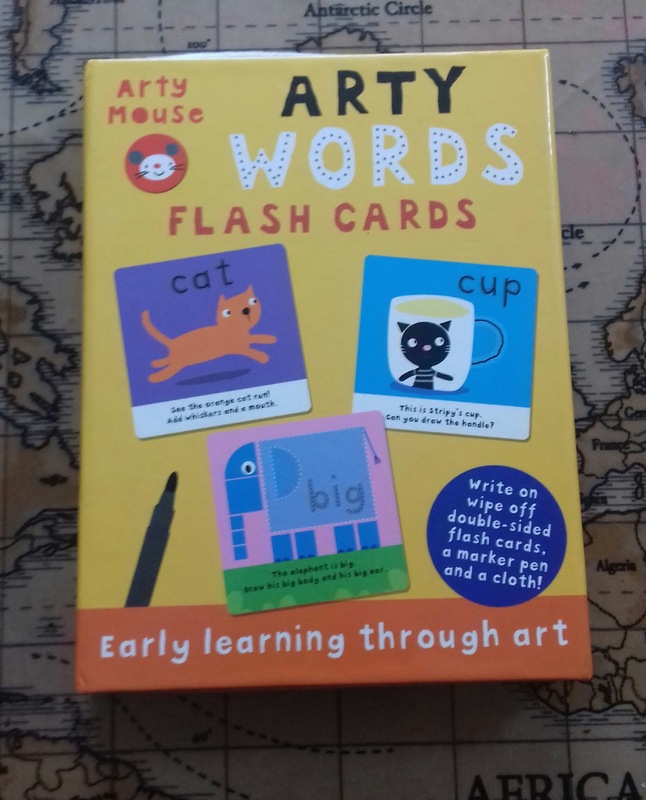 The set consists of 40 double-sided cards with first words to write and beautiful illustrations with dotted lines to complete the picture, the set also comes with a pen and wipe cloth. We have now popped this pack in our Home Ed classroom as DD3 can pick it up and complete the words without any aid as her skills and confidence are beginning to grow! 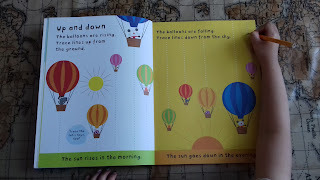 I'm sure this series will really accelerate DD3's writing skills. DD3's favourite Arty Mouse book has to be the cutting book as she is forever sat cutting up paper! 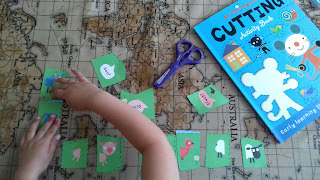 This gave her every reason to get out her little scissors and start snipping away! 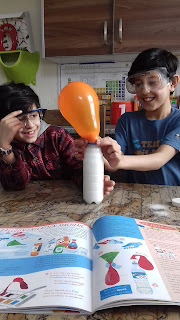 The books are great quality and are packed with activities. 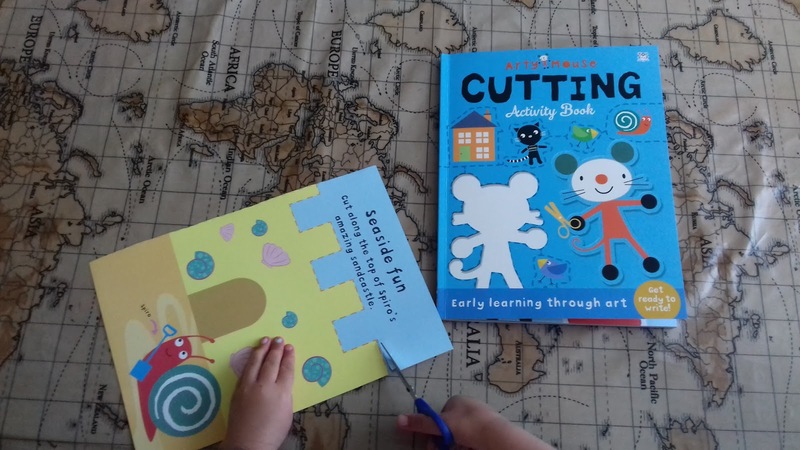 After carefully cutting along the lines there were further activities such as sticking on the pieces or rearranging a puzzle. 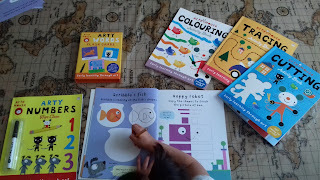 Each book has been designed with vibrant, eye-catching colours and cute characters! 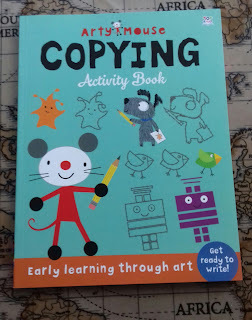 Even DS6 was having fun joining in with our Arty Mouse lesson today. 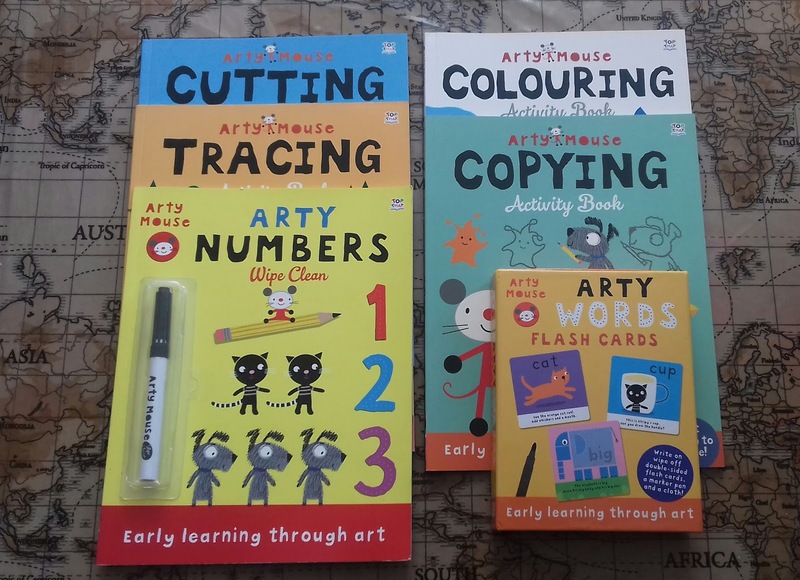 Arty Mouse books are certainly what all Home Ed classrooms need to give the kiddies lots of independent opportunities to be creative! 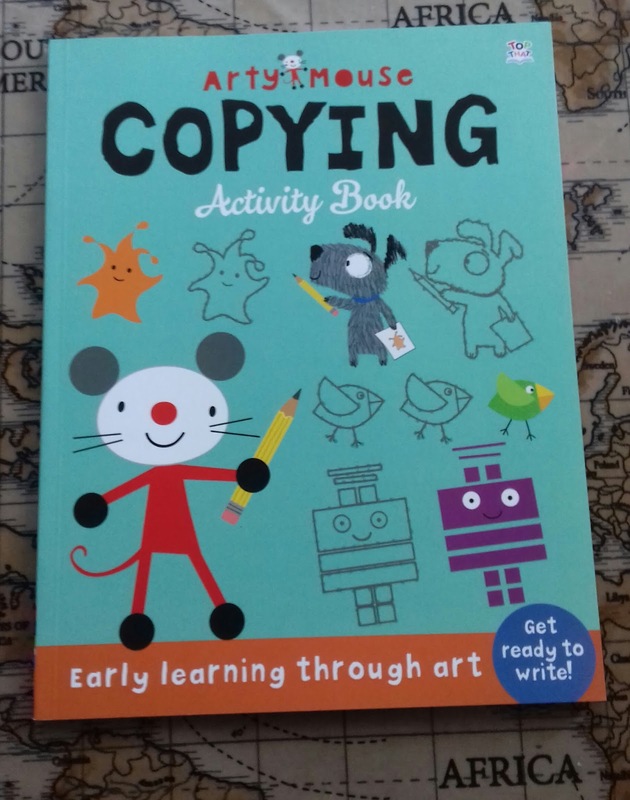 There are many different Arty Mouse books to spark little ones' imaginations from painting and sticking to copying and colouring, each book is packed with fun, creative activities to keep little hands and minds busy whilst learning key concepts within the EYFS curriculum and developing their motor skills! 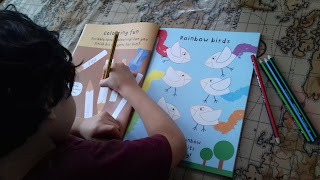 There are also books specifically designed to assist with number and word recognition. 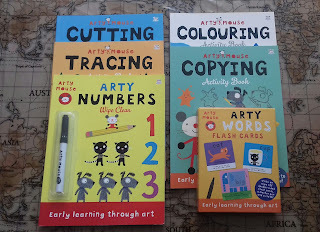 DD3 was spoilt for choice with this set of Arty Mouse books. 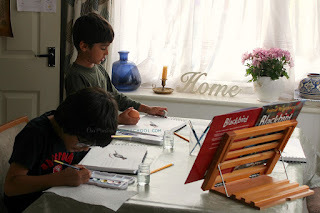 Here she is carefully copying fish into the fish bowls! 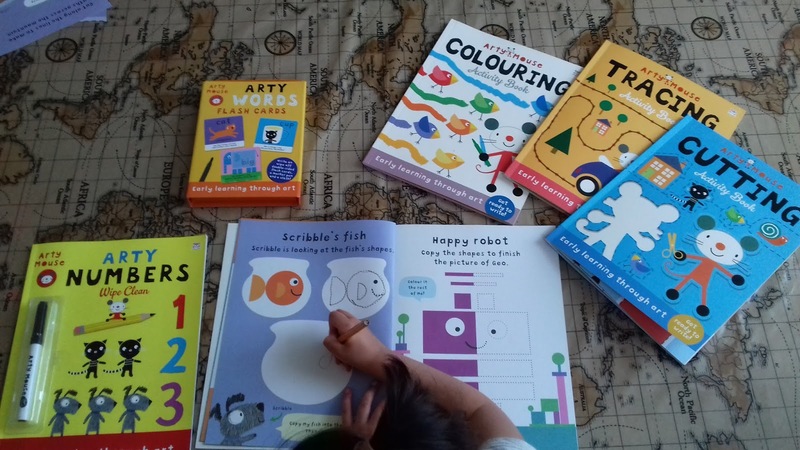 Trace, Copy, Colour and Cut was a runner-up and highly commended at the Creative Play Awards 2016!! 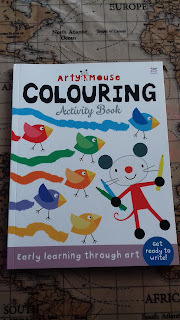 The Arty Mouse series is currently stocked in John Lewis and here on Amazon. The tracing book is fab for early writing skills. 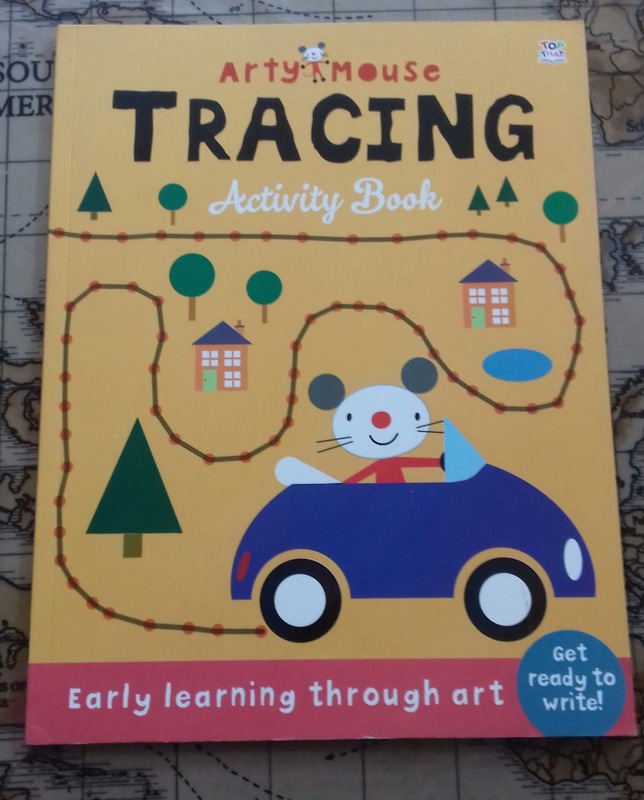 Let your little one start mark making and drawing lines with this colourful tracing book. 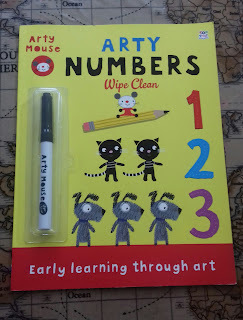 Keep a lookout for more of our Arty Mouse adventure posts over on Instagram over the next couple of weeks. 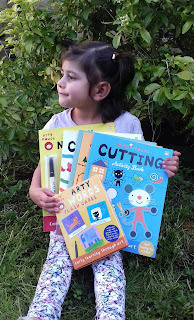 Arty Mouse allows kiddies to be creative whilst learning key skills, these books are great to have in our Home Ed classroom so DD3 can pick up as she pleases whilst her older siblings are studying. 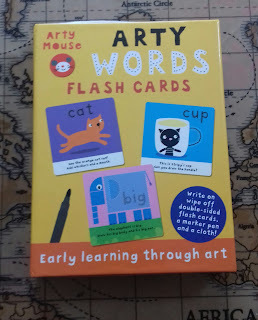 Put the fun back into learning and see the world through shapes with Arty Mouse! These books are great for children ages 3-6 years and takes them on a learning journey through Art, growing their confidence as they are encouraged to try out their motor skills across the pages by cutting, colouring, tracing and copying. 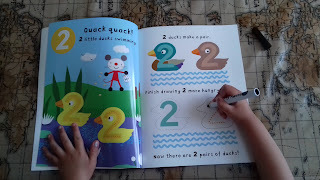 The activities help with early writing by tracing the dot to dot lines vertically, horizontally and curvy. If you're looking for educational activities for your young children then take a look at this amazing new Arty Mouse series! 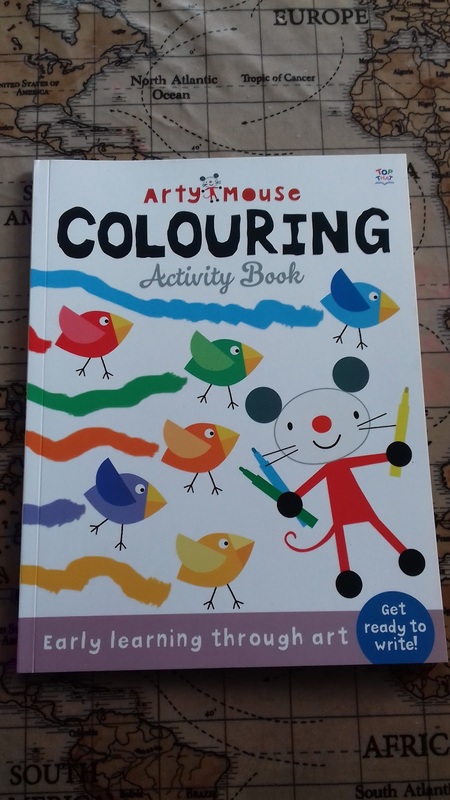 Follow on Instagram to keep updated with the latest Arty Mouse products here. 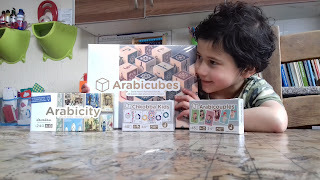 Disclaimer: I was sent these educational products in order to review, the post contains affiliate links and all opinions are my own.